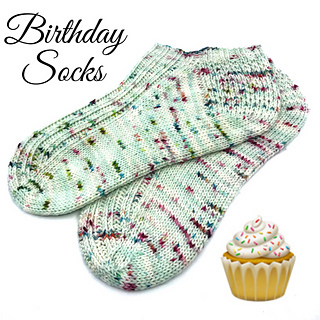 Celebrate your birthday everyday with these Birthday Socks! 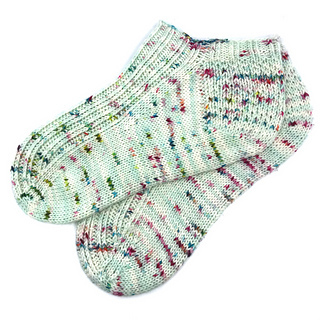 Birthday Socks have a twisted rib instep through the toe decrease to perfectly hug your foot. 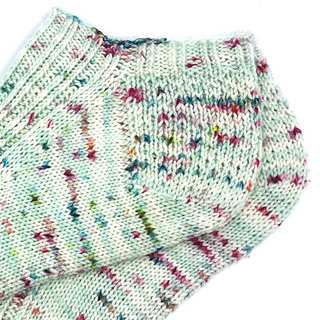 Knit top down with a heel flap/turn and gusset; these shorties will knit up in no time. Though this is a beginner sock pattern, it is very helpful to have knit at least one top-down sock.